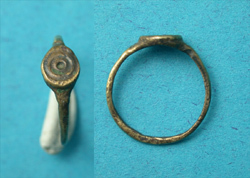 Silver alloy; 24mm/9.86gm; gold-gilt, cleaned and waxed. Original soldering is seen on the reverse. Con/ As cast with 90%+ gold-glit intact. Seller's Note/ This is a very rare, perhaps unique, artifact; you'll never see another one like it, trust me. This lion would have adorned a silver (or gold-glit) wine cup or similar serving vessel in the villa of a wealthy Roman in provincial Pannonia. They say good things come in small packages. 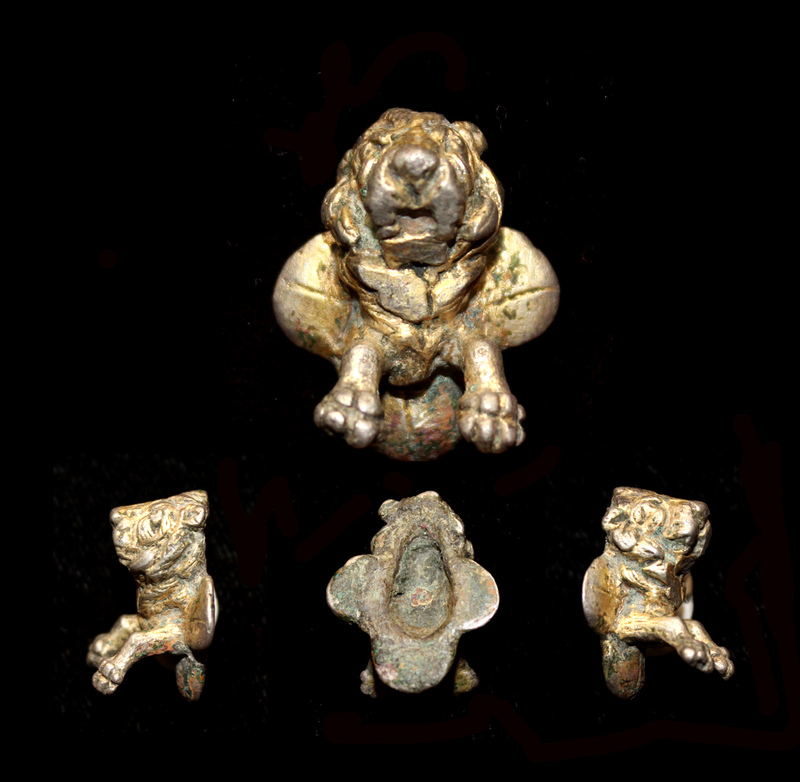 If you are a true dedicated collector of Roman artifacts this leaping lion adornment will be a gem in your collection. Our asking price for this little jewel is foolish, I know, as it easily worth three times the price.